Join us for a monthly book club featuring feminist authors and works. We're looking to form a community of people interested in learning about feminism as it affects the many aspects of our lives through books, reading, and discussion. Our goal is to build and strengthen the feminist community in the Prescott area, learn and grow from each other’s experiences and contributions, and create a spring board for feminist-centered, intersectional social change in our community and beyond. 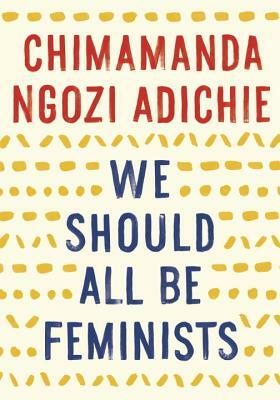 The book we will be discussing on February 13th will be Chimamanda Ngozie Adichie's We Should All Be Feminists. The highly acclaimed, provocative New York Times bestseller—a personal, eloquently-argued essay, adapted from the much-admired TEDx talk of the same name—from Chimamanda Ngozi Adichie, award-winning author of Americanah. Here she offers readers a unique definition of feminism for the twenty-first century, one rooted in inclusion and awareness. Drawing extensively on her own experiences and her deep understanding of the often masked realities of sexual politics, here is one remarkable author's exploration of what it means to be a woman now—and an of-the-moment rallying cry for why we should all be feminists.